The worldwide whisky boom has certainly affected multiple countries, Japan not withstanding. 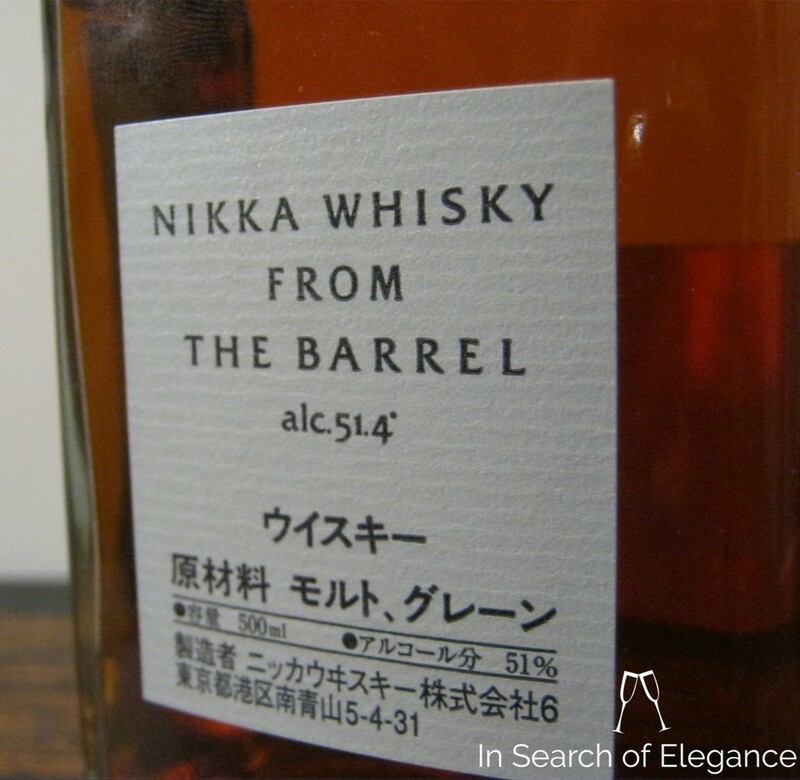 Earlier this year, Nikka decided to stop bottling the revered Yoichi single malt in order to meet demands for their blends – of which this is one. It is made by the Yoichi distillery, which lies in southern hokkaido and was founded by Masataka Taketsuru – the legendary pioneer of Japanese whisky who studied in Scotland and even had a Scottish wife. Nose: For a 50% whisky, the nose is surprisingly quiet. Primarily, wet, mossy earth and some fino sherry notes amidst vanilla, apricot, oak, pencil shavings, caramel, saffron, white grape, roasted almond, and milk chocolate. Very rich grain in this! Taste: Thick, with very light earthy barley, dried apricot, pears, dried cherry, prunes, and a decent, but clean, malt backing and some oak in the mix. Clove, cinnamon, a bit of nutmeg, and caramel in the mix too. Quite sweet and sour – too much so, perhaps. With water, at first, it seems to become more sour and the malt comes out more. As you add more water, it becomes quite sweet but better balanced, and still retains flavour well – it makes me wonder, perhaps, if this one was made to be had with soda. I prefer it a bit watered down. Finish: A bit of lingering peat, light caramel, white pepper, clove, vanilla ice cream, and malt notes. Value: Average, based on about $90 CAD / 750 mls.